Does Braun Strowman Really Have a Chance to Beat Roman Reigns at WWE ‘Hell in a Cell’? Rumor: Will WWE Be Holding Future Evolution Events? Braun Strowman will challenge Roman Reigns for the WWE Universal Championship at Hell in a Cell on Sunday, September 16. 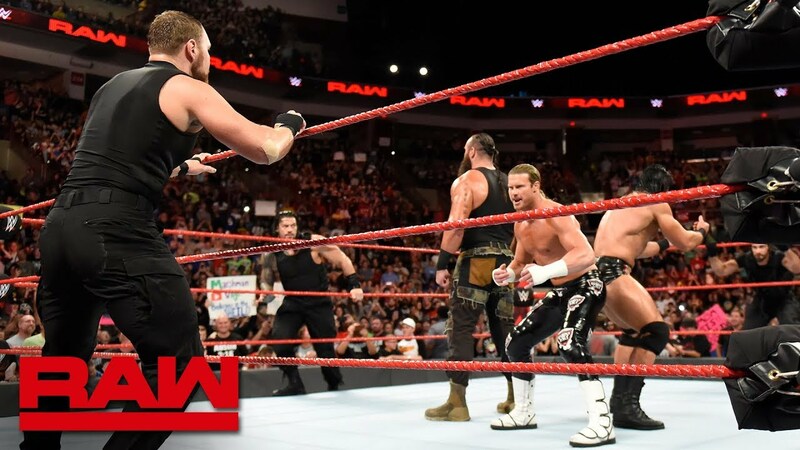 The Monster Among Men is hot off the heels of his recent heel turn against The Big Dog and now the two men will wage war for Monday Night Raw’s top prize. But what kind of shot does Strowman really have? 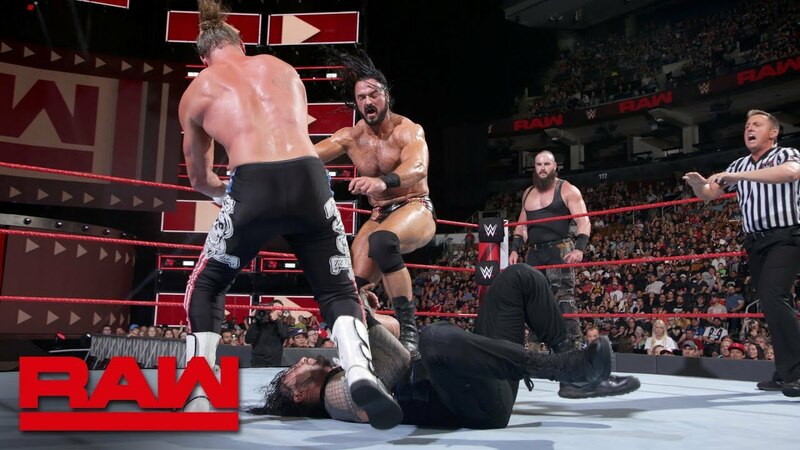 From the moment Braun went heel, many WWE fans immediately said that he simply had no chance against Roman. WWE supposedly wants to give Reigns a lengthly title run. If that is indeed the case, then anyone that faces him in the near future probably has very little chance of taking the belt. That includes Strowman, who has really never looked better in his WWE career. But is he merely just a contender? Why did WWE do all of the work to get him over as main event material only to keep the championship from him? If the point was to prepare him and test him for a top spot, then WWE must consider it as mission accomplished. Braun has more than earned his spot in WWE. However did the company actually build him to be nothing more than a world title challenger and never a champion? In any other era, the addition of another top guy would not be a problem. Maybe it’s not a problem now. But in today’s WWE, it does seem that Braun should serve a purpose other than just doing the job to Roman Reigns. Perhaps the most obvious point here is that Braun is not a cruiserweight. He’s not even a heavyweight. He’s a super heavyweight and he’s arguably the best big man working in WWE today. He came up through the ranks over the past couple of years and he’s only gotten better with each match. If anyone could realistically rise to a major championship and wear it as a top draw, it’s definitely Strowman. But apparently that’s not what WWE wants from him, at least not right now. After all Roman did spend the past several months chasing Brock Lesnar and the Universal Championship. The likelihood of WWE investing so much time and effort into that story, only to then drop it, seems unrealistic at best. If that is indeed the case, then Strowman is essentially just along for the ride. It doesn’t mean he cannot be effective and it doesn’t mean that his heel turn was in vain. But Braun did turn heel on the top babyface in the company. Anything other than a win at Hell in a Cell could be a possible waste of time. Therein lays the problem. Where does Braun go after Roman? To step away from Roman Reigns could be seen as a step back. That is surely not what WWE had in mind when Braun Strowman became an antagonist again. So is this another example of a reset gone wrong? What is the alternative? The alternative is that Strowman and Reigns are meant to feud for the next few months. Their match at Hell in a Cell may not be the end, it may be the beginning. If that’s true, then this rivalry could last throughout the end of 2018 and bleed into the beginning of 2019. It doesn’t necessarily mean that Reigns can’t move on to the next challenger, only that Braun will still be in the title picture. If Strowman and Reigns do keep feuding for the rest of the year, then WWE fans will get the opportunity to see Braun fully fleshed out as a heel. It’s not enough to just betray Roman and then want his title. Strowman’s motivations and indeed his complete mindset will come into focus. But how long can WWE keep Braun on the wrong side of the fence before the crowd decides he should turn babyface again? Braun Strowman was not on the decline when he turned heel. In fact he was far from it. Strowman was just as popular in the moments before his turn as he was in the months leading up to it. The company did not turn Braun because he was in need of something different. He was turned because WWE really had no other choice. The company is building Strowman to be a main event guy. WWE is engineering him to perform at a high level and become one of the most over talents in the company. But now that he’s at that point, a decision had to be made. Does WWE back Strowman all the way to the Universal Championship, completely disregarding all of the work done on Roman’s behalf? Or does WWE take the guy with all of the momentum and throw a curve ball in with a heel turn? At least Strowman is still in the spot he had before he became an antagonist again. Had he not been on that level, then he would have almost no chance to get over now. He would be in the same spot Ryback was in back in 2013. WWE was unable to salvage Ryback’s run and even a second reset later could not get the job done. So is Braun Strowman merely cannon fodder for Roman Reigns or is The Monster Among Men? Or is he a bonafide main event player that will help anchor the red brand alongside The Big Dog? If the former is true, then the next heel that comes along will replace Strowman. Many fans believe that heel is Drew McIntyre, who could be the second challenger to Roman’s Universal Championship. However if the latter is true, then Strowman will be a cornerstone of Monday Night Raw. He won’t need a championship for fans to see him as one of the top stars, as his wins will far outweigh his losses. After all he was getting over long before Reigns defeated Brock Lesnar for the title. Why should now be any different? The key here is the booking. If WWE cannot find a way to keep Braun Strowman relevant without putting the title on him, then this new heel turn will indeed fail. If WWE is setting him up as nothing more than a storyline antagonist for Roman, then the fans will see right through it. Braun’s appeal will have less to do with the man himself than his ability to actually beat Reigns. No matter what happens, it’s clear that Strowman is in a great spot to succeed and it’s his best spot to date. Whether or not WWE continues to build him or he becomes stagnant, is anyone’s guess. The post Does Braun Strowman Really Have a Chance to Beat Roman Reigns at WWE ‘Hell in a Cell’? appeared first on WrestlingRumors.net. Copyright © 2019 by Wrestling News, Articles, Reviews, Spoilers, Results.